Manikaran, a religious and transportation hub, is about five kilometres from where I am staying. 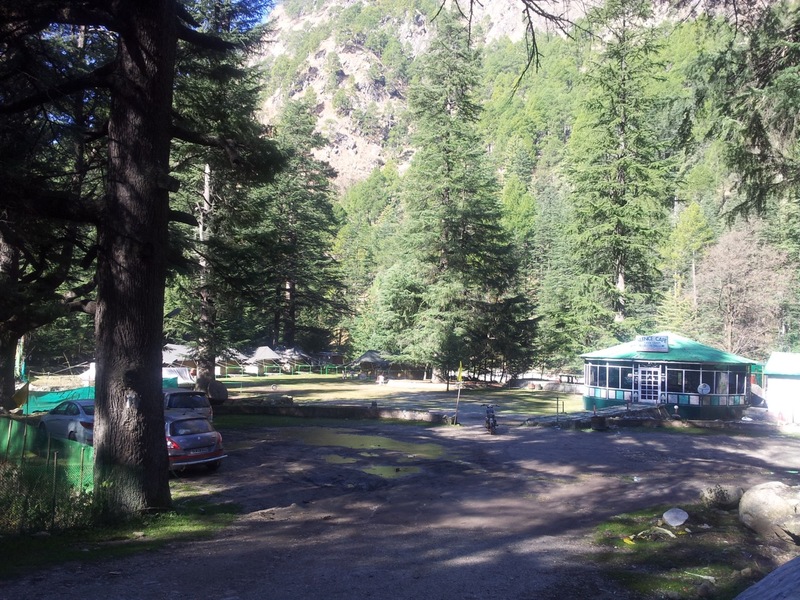 The easiest way to reach there is to catch any Westward bound bus from Kasol. Instead of taking a bus, I decided to walk the entire road. This is the same road that leads to Baba Place. It follows the Parvati River along its Southern bank. Manikaran is in the other direction. 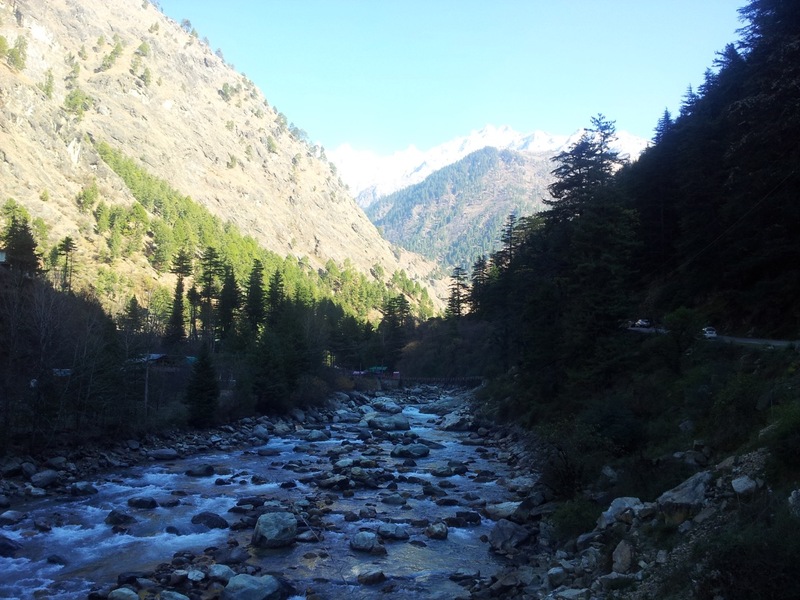 Just beyond Kasol, there are premium resorts. Some of these are the tent based camps I had seen yesterday. One such entity, Silence Cafe, offers tents for rent and food. 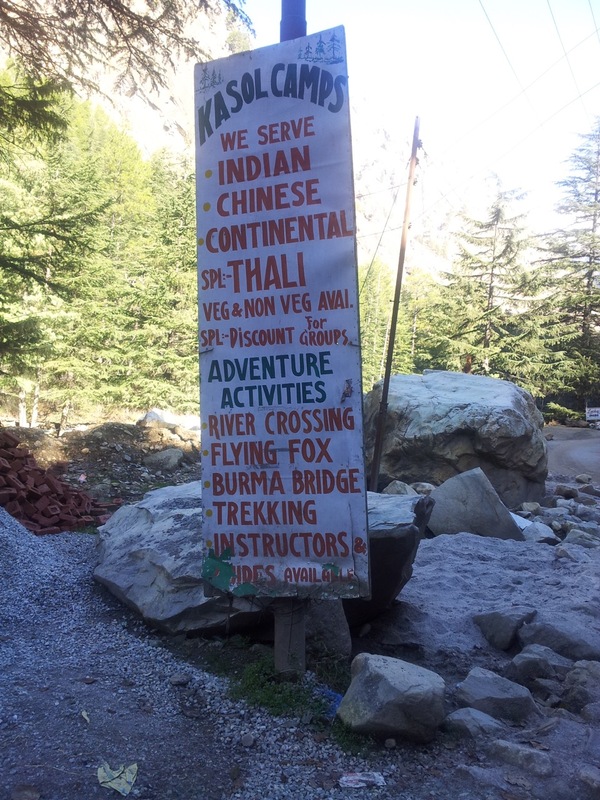 At the time I clicked this photograph, I did not know what Flying Fox or Burma Bridge was. 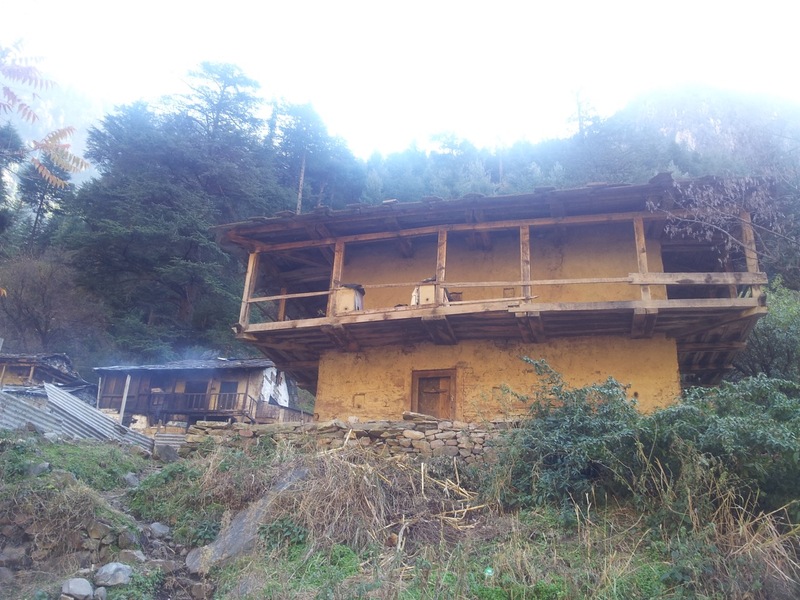 As I walked along through Choj village, I kept getting clearer views of the Annapurna range. This is the clearest picture of the Annapurna range I have taken till date. 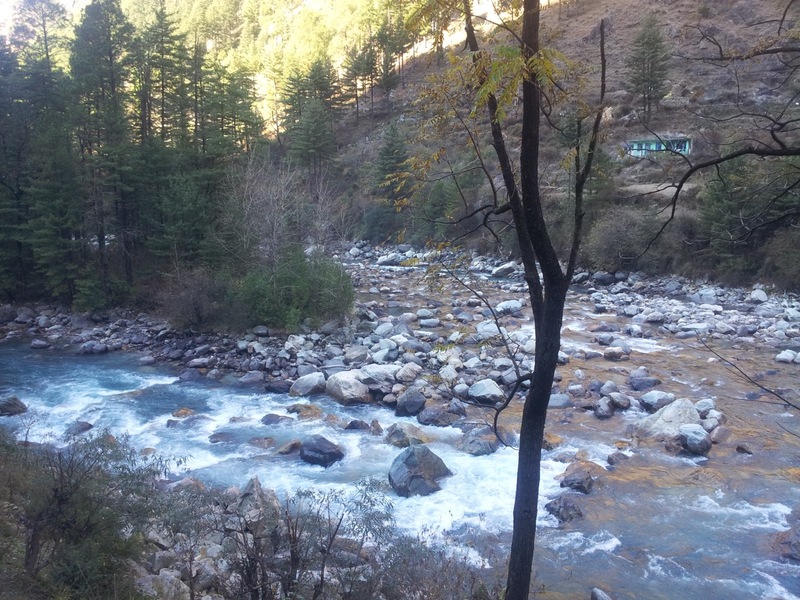 The closer I got towards the upstream of Parvati River, the flow itself became more turbulent. It may be deceptive from the photographs, but if someone falls into the stream, there is very little hope of their survival. Parvati River forks here and meets again after a few hundred meters. It encircles an island of pine trees. Parvati River, the Annapurna range and a bridge connecting a lone resort on the other side of the river. There were some interesting things that I saw on my way. Two-storey building made of wood and clay. I have seen similar buildings in southern West Bengal’s villages. People have erected temples at random places. There isn’t a single house nearby. The temple itself is nothing more than a small shade. At another place, a natural cave is partially concealed using mortar and stones to create a cosier compartment. 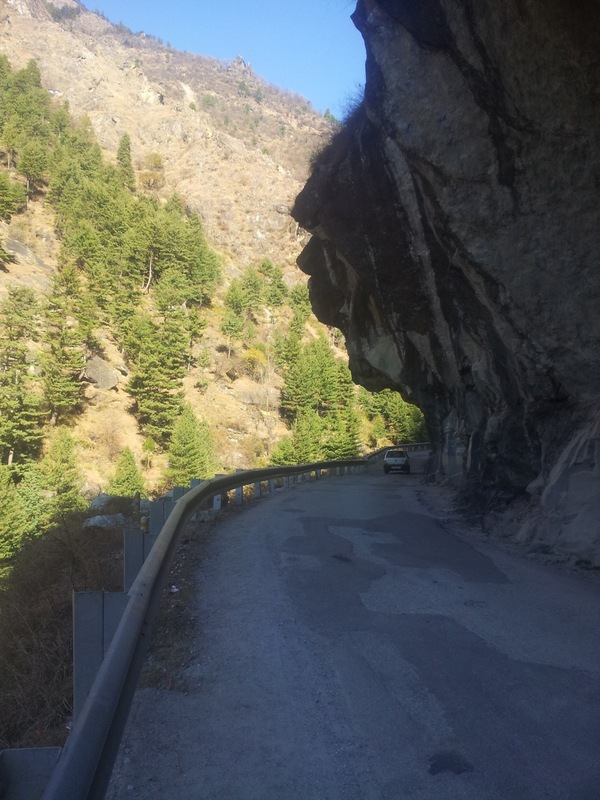 About one and half kilometres from Manikaran, there is a stretch of road that is slightly dangerous. There is a long, continuous railing and an abundance of signboards warning the drivers and pedestrians alike. Rock overhangs like this not only reduces clearance for large vehicles but also cause visual barrier to any incoming traffic. 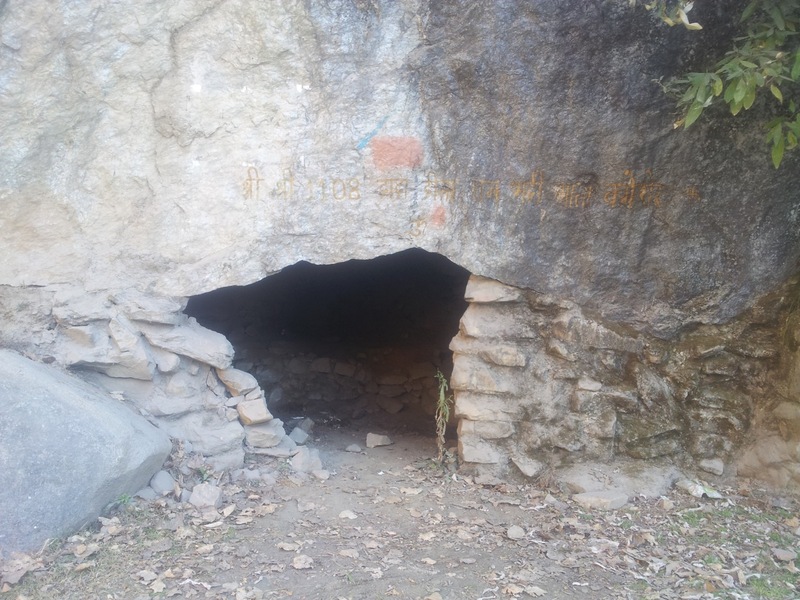 Few hundred meters before the fork in the road that leads to Barsheni, I deviated from the main road and crossed a footbridge because a signboard said ‘Shiva Cave’. Here is one temple that was not even built. 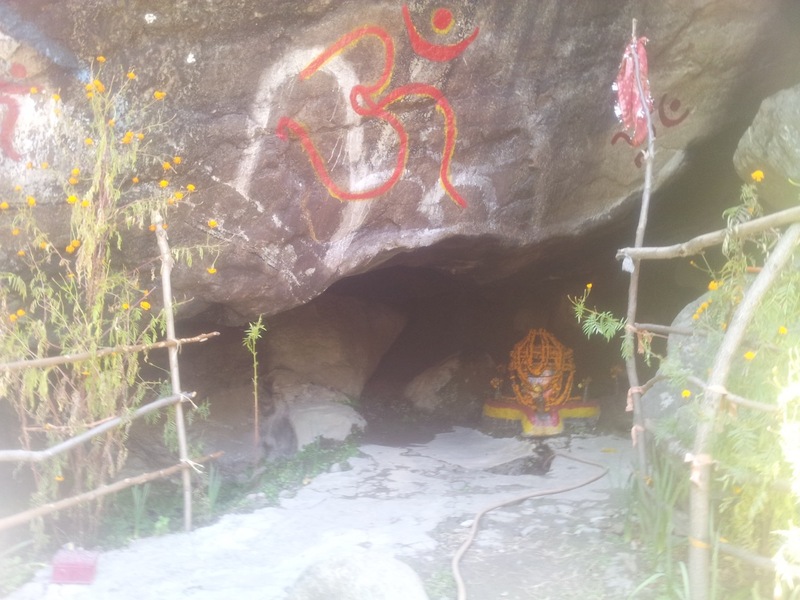 The locals have put a Shivalinga inside a natural cave and painted the rocks. 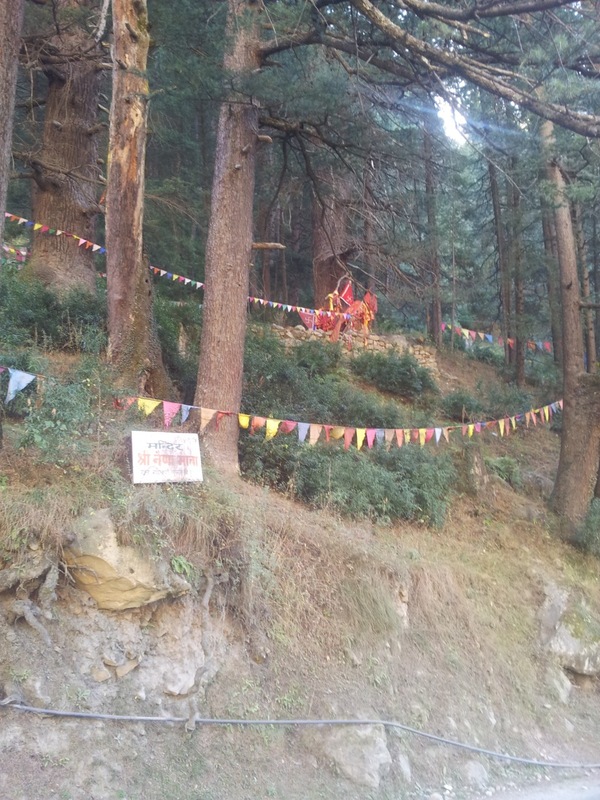 Manikaran has more temples than a human or a god can handle. They are all within a span of few hundred metres. It starts right after crossing the bridge that connects the Shiva cave. I do not even remember all the temples but there was a Shiva tempe, a Gurudwara, a Ram temple and three to four more. There was another large one under construction, too. The Shiva temple and the Gurudwara. 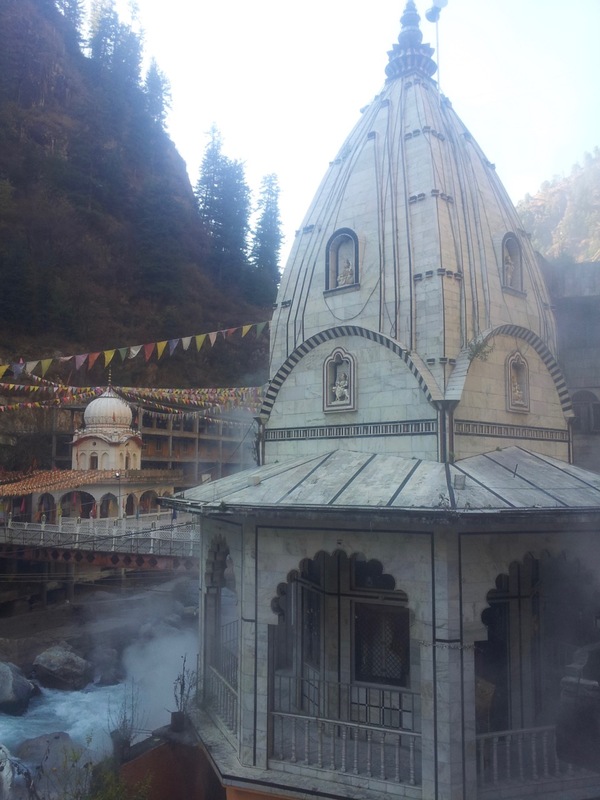 The fumes are from the natural hot water springs found in Manikaran. Since this place has natural hot springs, there is a public bathhouse right beside the Ram temple. (There is one inside the Gurudwara and another inside the Shiva temple, too.) I had carried my towel and an extra pair of shorts just for this purpose. The water must be around 60 degree Celsius. I could not even submerge myself in the water. Instead, I cupped my hands and used them like a mug. Forget the ice-bucket challenge. I challenge anyone to stay inside for five minutes straight inside the pool. Even a local guy wasn’t able to do so. This is the male section of the public bathhouse. There was another soul besides me who took a bath here. 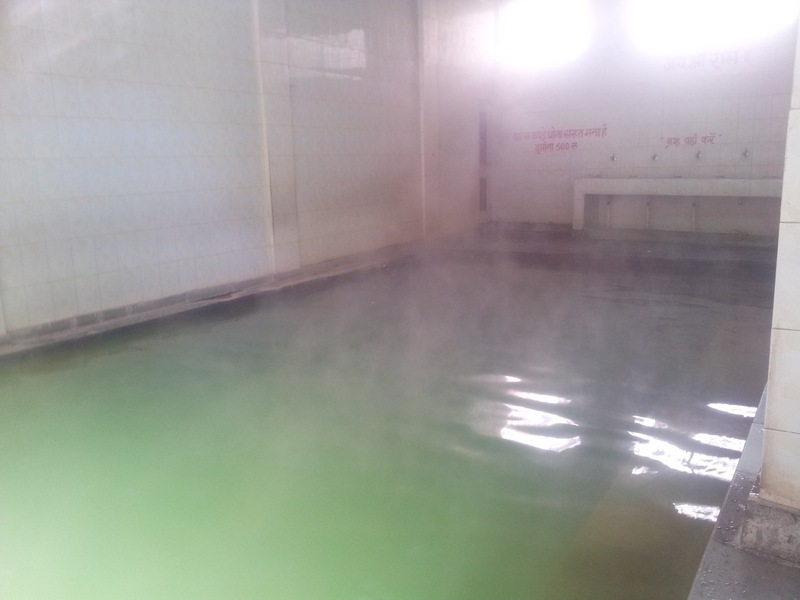 Basking in the fumes emerging from the surface was so soothing. The fumes also had a strange smell. I came to know later that it is because of Hydrogen Sulphide. I had my lunch at a local shop. Hot and crispy aloo paratha was godsend after the bath. Also, this particular shop, just in front of the entrance to the Ram temple, prepared them in wood fire. 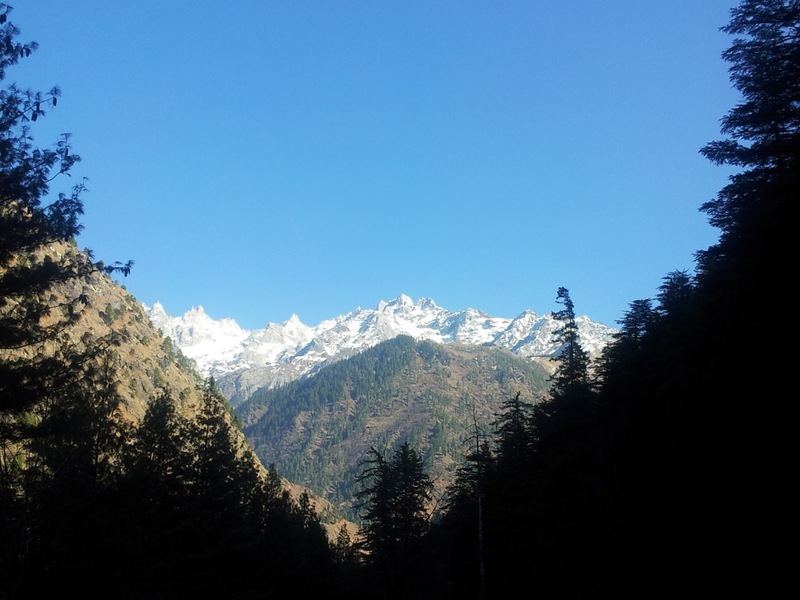 Kasol is experiencing a cold wave. 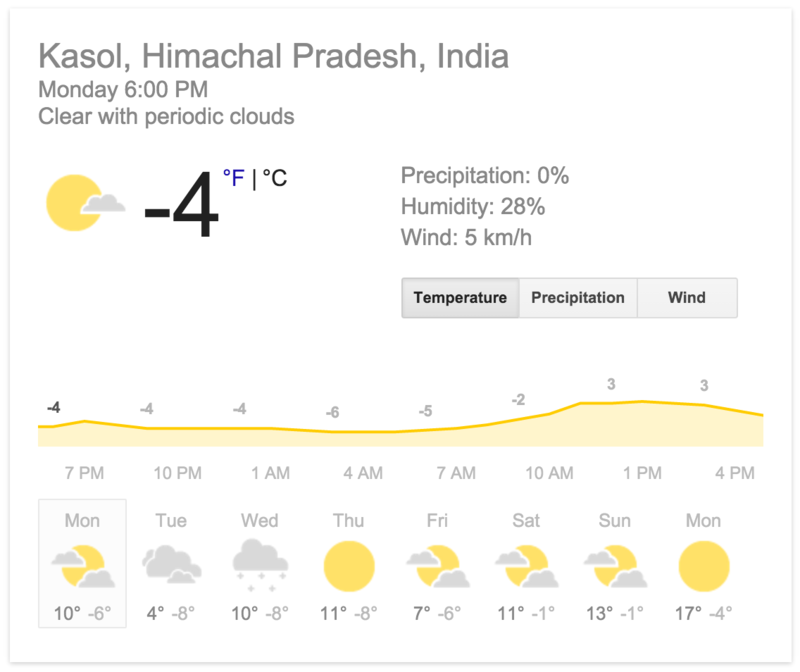 Tonight’s prediction is -6 degree Celsius. By the time I will have my dinner, it will be around -5. There is a prediction of snowfall in two days. I will have descended by then. Temperature probe at 6:30 PM. 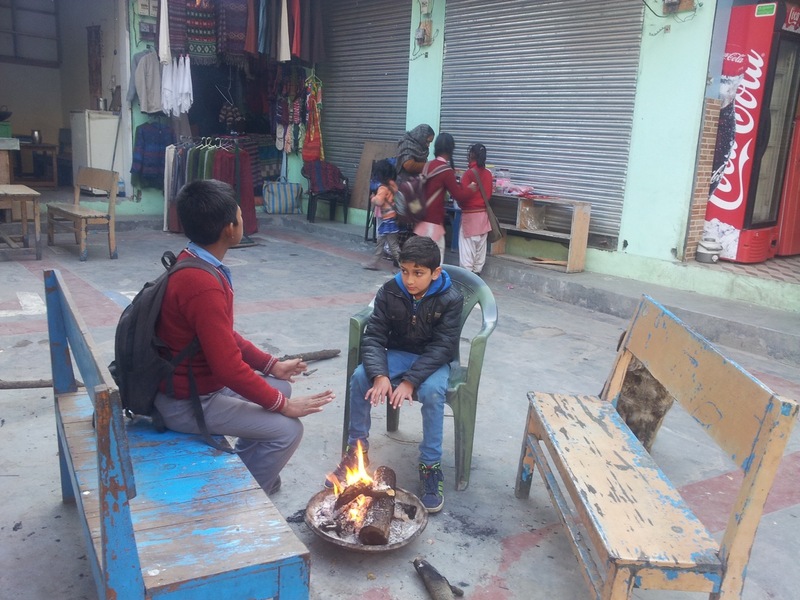 The locals light up bonfires or switch on heaters in shop to keep themselves warm. They are also very accommodating. I sat with them for hours, struck up a conversation and had tea. Then, I proceeded to another bonfire. I kept doing this throughout the evening. 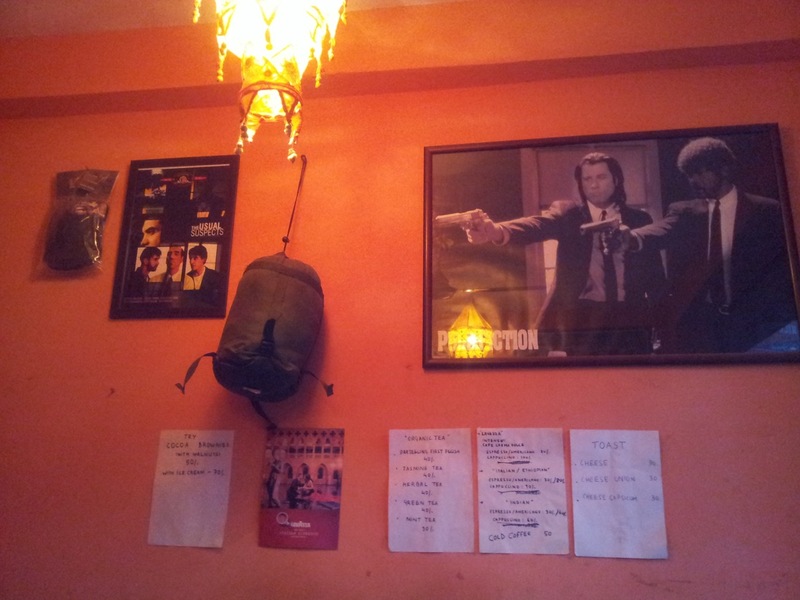 The walls of Parvati Daily Grind Coffee has posters of bands and cult movies. The coffee was just a pretext for the warmth of the heater. The owner mentioned that they get their Indian beans from Bangalore and roasts and grinds them locally. The shopkeeper across Parvati Daily Grind Coffee was also enjoying the warmth of the heater. 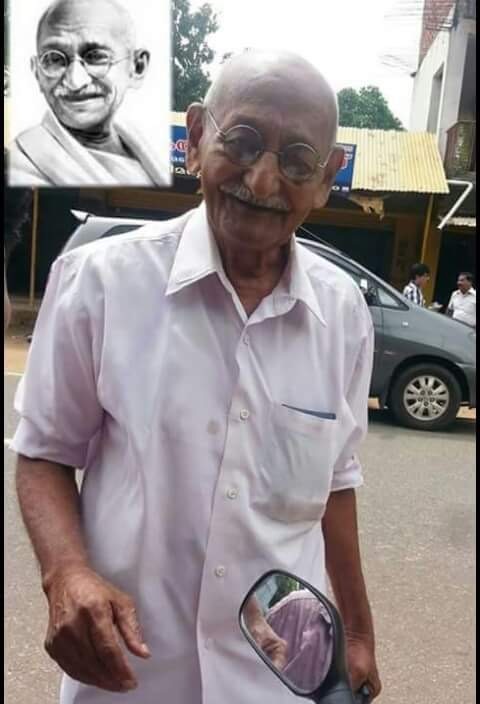 He shared this photograph of a Himachali man who looked just like Gandhi. That boy in the middle is Tushar. He studies in 6th standard and is enjoying his three month long vacation. I saw him with his white pet mouse today morning in the shop where I had my breakfast. His parents had named the shop after him. 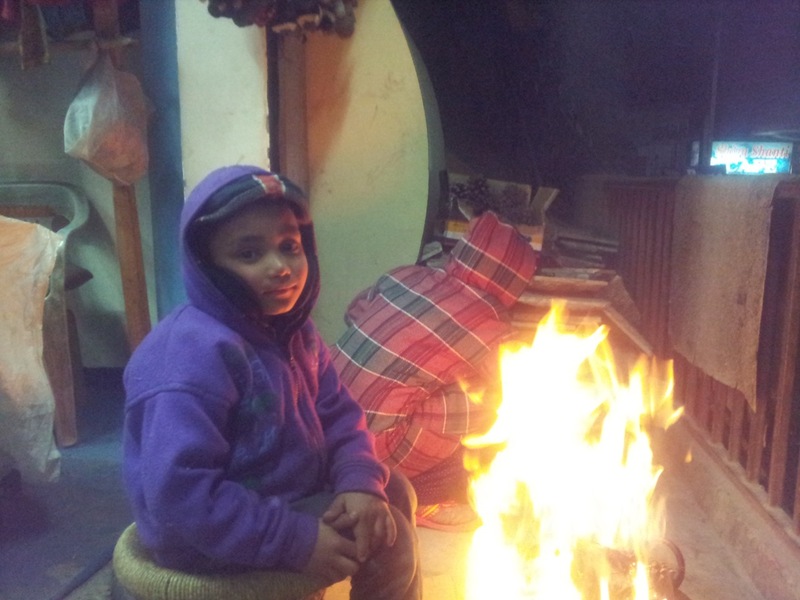 Sushant, the kid of the shopkeeper across my place posing in front of the fire. He studies in first standard and won’t be getting his holidays before 25th of this month. A man was selling California Sunshine (an euphemism for LSD) near a chat shop. This place is a junkie’s heaven. The strangest part is that I have not seen locals consume psychotropic substance. It is always the tourists who fuel this business. Even kids aren’t bothered by these tourists. After all, the entire economic ecosystem is based around these hippies and junkies. Sober tourists like me are few and far in between.